Black Minnesotans are African Americans sampled in the state of Minnesota. 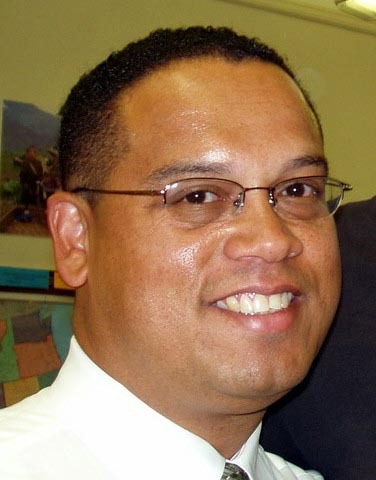 U.S. Representative Keith Ellison (born August 4, 1963) from Minneapolis is the first Muslim to be elected to the United States Congress. He was raised Catholic. The Black – Minnesota population data represent DNA samples from 75 African-American individuals in the state of Minnesota. For more details on this population, see: African American to There are two data sets that have been incorporated into DNA Consultants’ method. One data set included DNA samples from 75 African-American individuals in Minnesota. Samples were provided by the Minnesota Bureau of Criminal Apprehension. The other data set represents DNA samples from 157 African-American individuals in Minnesota. Samples were provided by the Minnesota BCA Forensic Science Laboratory, St. Paul. Photo: Keith Ellison. Public domain. Source publication: CODIS STR Loci Data from 41 Sample Populations, J Forensic Sci, 2001, 46(3), 453-489. Minnesota Population Data on 15 STR Loci Using the Identifiler Kit, JFS, 2006, p1410-1413.